Over the past few years I’ve celebrated April’s Fools Day by doing a street art prank. 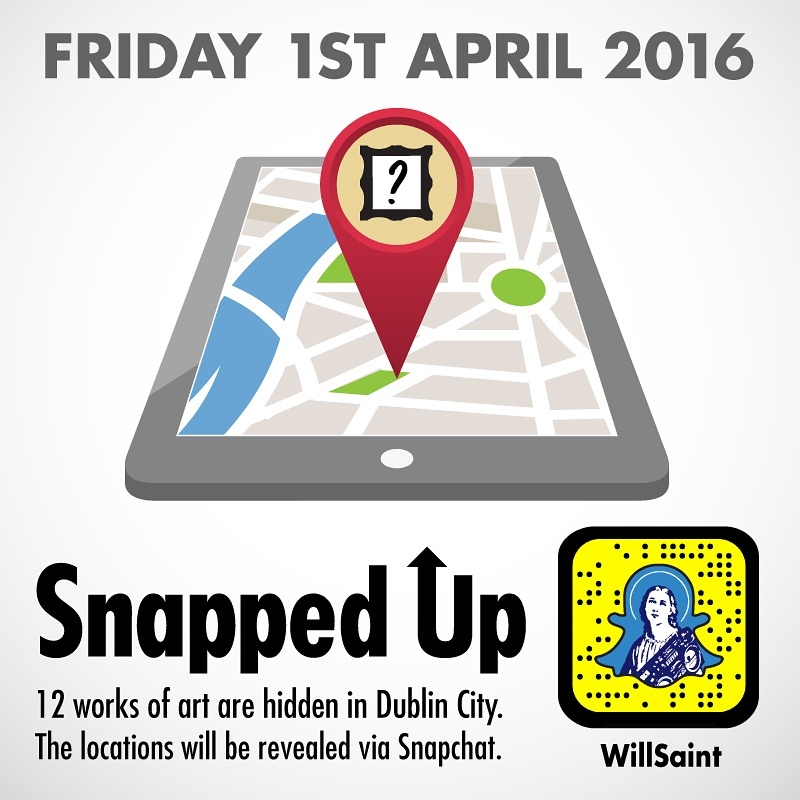 This year I want to do something different, so on the 1st of April 2016, I will be hiding 12 works of my art around Dublin city. Every hour I will reveal the location of each piece via a Snapchat story. Your task is to find them before my other followers do, simply follow me on Snapchat before the 1st of April and check my Snapchat stories each hour from 8am till 8pm on Fools Day. From 8am today I placed my artwork work around various parts of Dublin. It was great fun and wonderful to get tweets from some of the happy hunters that found them. Thank you everyone that got involved!